THC Venice is a medical marijuana dispensary that offers affordable access to high-quality cannabis. Quality and safety of a medicine are of the highest priority here. So the company partners with a couple of Californian farms in the LA region that utilize cutting-edge genetics to grow the premium-quality strains and develop excellent cannabis-infused products. As a result, THC Venice is able to provide the range of medications suitable for addressing various medical needs. The staff here is always friendly, passionate and professional. Any patient can ask for a private consultation on the matter of choosing the right type of mmj for his or her conditions. 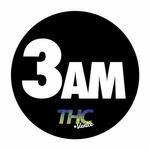 THC Venice supports the growth of the medical cannabis industry and works towards creating a better public image of the alternative medicine.